We present a new concept of paper-based devices and inkjet printer-like analyzer for clinical diagnostics. 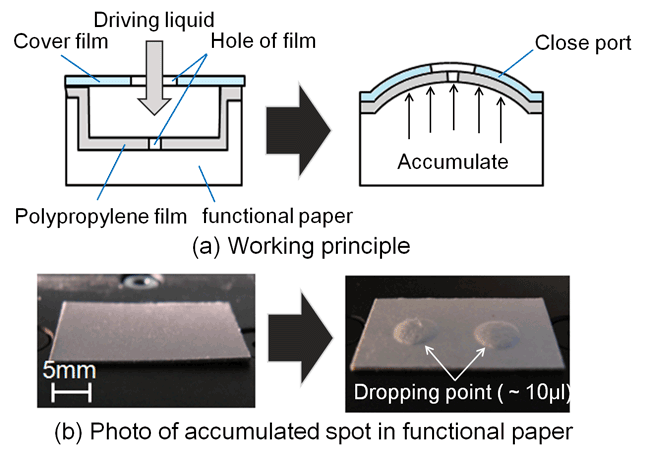 A water-resisting paper coated with polyolefin resin was selected for the chip’s material, and the microchannels were successfully fabricated by using hot-embossing process on the paper. Pressure resistance was evaluated by feeding water into the micro-channel of a paper chip and the channel could stand practical pressure level more than 100 kPa. 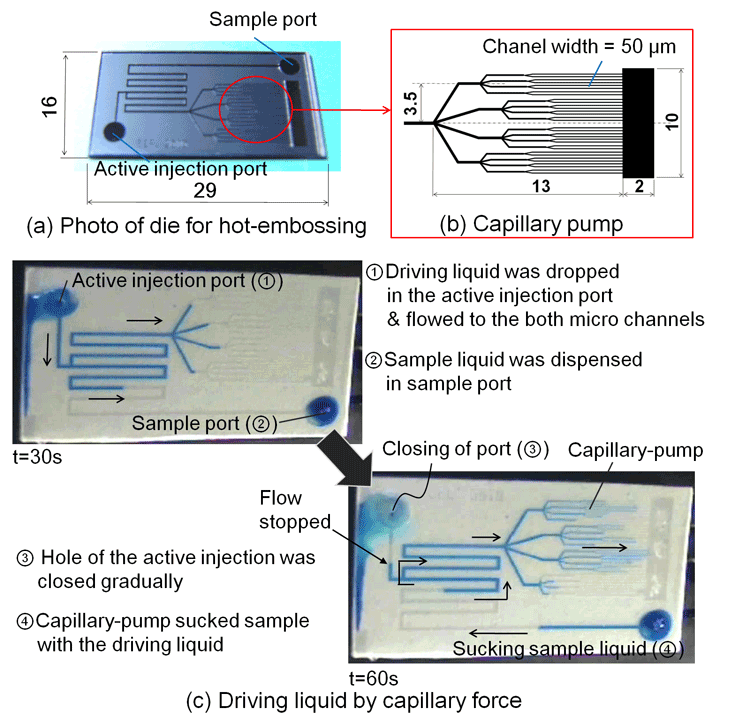 Liquid flow driven by capillary force was observed in the prototype of paper chip. We have confirmed that evaluated paper materials and fabrication methods were feasible for the disposable chip.